The amount of events this week are bursting at the seams. Keep Toronto Reading is kicking it into full gear this month with various readings across library branches, Lit Lunches, and various One Book events. There are just too many to list here. Visit the KTR calendar to see all event details and plan out your literary excursions. 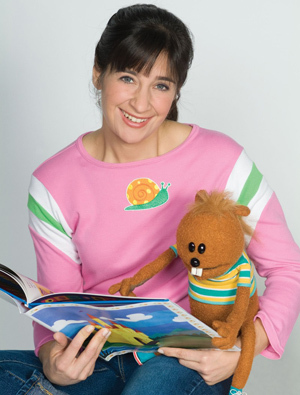 And if you have any kids, you can join Gis&#232le from TVOKids for various library tours, as well as kids’ events at the ROM and Science Centre. On the way, don’t forget how you can help keep Toronto reading by donating to any Toronto Public Library branch or buying books at the TTC book sale events. Spend over $5 and you’ll get a new, free book. Other events include your usual dosage of the Art Bar Reading Series, the IV Lounge Reading Series, and numerous author readings and book signings scattered across the city. If you want to brush up on some copy editing, or even learn how, consider attending the Editors’ Association of Canada’s two-day seminar. They will also be presenting a seminar on indexing later in the week. THIS IS NOT A READING SERIES presents “Wireless Imagination.” Daniel Scott Tysdal’s first-place story from Eye Weekly‘s short story contest, “What Is Missing,” will be performed by a thespian in the manner of an old radio broadcast with live sound effects. Tysdal, along with other finalists Alexander Cole and Grace O’Connell, will discuss their writing processes on stage, moderated by Coach House Books editor Alana Wilcox. Damian Rogers will host the event. Gladstone Hotel Ballroom (1214 Queen Street West). 7:30 p.m. (Doors at 7 p.m.) Free. CRIME WRITERS OF CANADA presents its fifth part of the six-part series of readings at Casa Loma. The event will feature readings by Peter Robinson and N.J. Lindquist. Casa Loma (1 Austin Terrace). 7:30 p.m. $12.00. Pre-registration is necessary. Call 416-923-1171 ext 205 or 215 or email [email protected] to register or for more information. ROWERS PUB READING SERIES presents Robert J. Sawyer, Sarah Sheard, and Priscila Uppal. Rowers Pub and Grill (150 Harbord Street, 2nd floor). 7:30 p.m. (Doors at 7 p.m.). Pass the hat. THE EDITORS’S ASSOCIATION OF CANADA presents a two-day seminar, Copy Editing: A Hands-On Introduction. The second session will be held on February 13. Oakham House (63 Gould Street, Room A/B). 10–5 p.m. $175 for EAC members/$205 for non-members. Call 416-975-5528 or visit the website to register. CANADIAN WRITERS IN PERSON presents Hiromi Goto who will read from her short story collection Hopeful Monsters. York University, Accolade West Building (4700 Keele Street, room 206). 7 p.m. Free and open to all. 416-736-5870. CAROL HARRISON REESOR will read from her book, The Paris Magdalene. WonderWorks (79A Harbord Street). 6:30 p.m.
IV LOUNGE READING SERIES presents Lolette Kuby, David McGimpsey, and Jay MillAr. The IV Lounge (326 Dundas Street West). 8 p.m. Free. NIGEL THOMAS will read from his new novel Return to Arcadia. A Different Booklist (746 Bathurst Street). 7:30 p.m. Reading with discussion to follow. FRENCH AUTHOR ARISTOTE KAVUNGA will discuss his books at the Toronto Reference Library. The event will be in French. Toronto Reference Library (789 Yonge Street). 2 p.m. Free. Street West, room 215). 10–5 p.m. $135 for EAC members/$175 for non-members. Call 416-975-5528 or visit the website to register. KEEP TORONTO READING: KAREN PATKAU, author of Creatures Yesterday and Today, will read at the Royal Ontario Museum. ROM (100 Queen’s Park Circle). 2 p.m. THE ONTARIO POETRY SOCIETY presents For The Love of Poetry Festival. Members will be giving readings. There will be raffle prizes and an open mic. Zemra Bar Lounge, 778 St. Clair Avenue West). 12 p.m. Free. BOB DELANEY author of Covert: My Years Infiltrating the Mob, will be reading and singing books. Indigo (55 Bloor Street West). 7 p.m. Free. BARBARA WYN KLUNDER, author and illustrator of Other Goose, will read and give a presentation at the Burlington Public Library (2331 New Street, Central Branch). 7:00 p.m. Free admission. ART BAR POETRY READING SERIES presents Mike Freeman, Steve Venright, and Truth Is. Clinton’s (693 Bloor Street West). 8 p.m. Pass the hat. IN OTHER WORDS, a radio show, hosted by Myna Wallin, will air on CKLN 88.1 FM. 2–3 p.m. www.ckln.fm to listen online. DREW HAYDEN TAYLOW, will read from his novel The Night Wanderer, at the ALOUD Festival at the Harbourfront Centre. Harbourfront centre, Brigantine Room (235 Queens Quay West). 1:00 p.m. Visit the ALOUD website for ticket into.